It's the first Wednesday of the year! I hope that the start of the year has been treating you well. My daughter is still over singing Christmas songs lol. I'll let her have her fun as it's almost time for her to go back to school anyway. Today I also have my first Watermarble Wednesdays post of the year to share with you as well! Yes I am still doing this guys okay lol. See more after the jump! Okay so I love how this turned out with these colours so much! 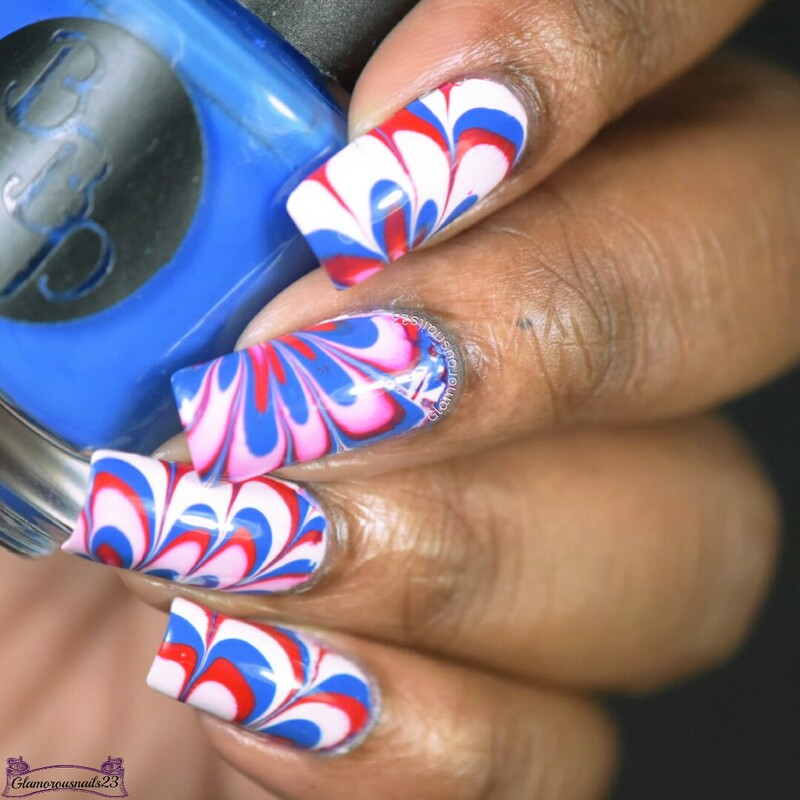 What a better way to start off my first Watermarble Wednesdays for the year than with one that I just adore. 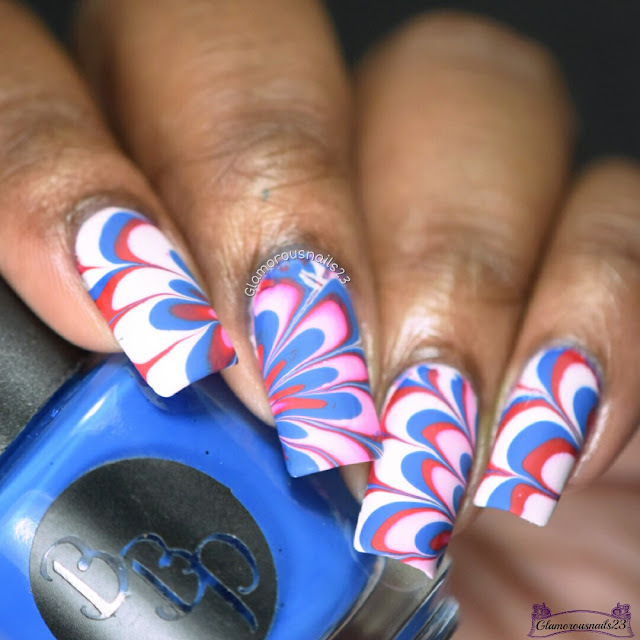 To be honest my mind was in a different world while doing this mani because it's only until I looked at the pictures that I realised that these are the colours for the United States flag. Lol. 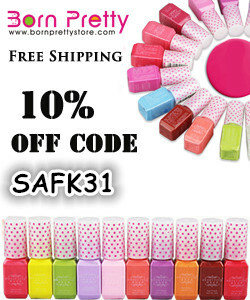 Do you think that you will be doing any nail art this year? Will any of them happen to be a watermarble? Lol. This marble is absolute perfection! I only did 2 marbles in 2016 and I want to try to do at least 1 a month in 2017! This is absolutely beautiful! 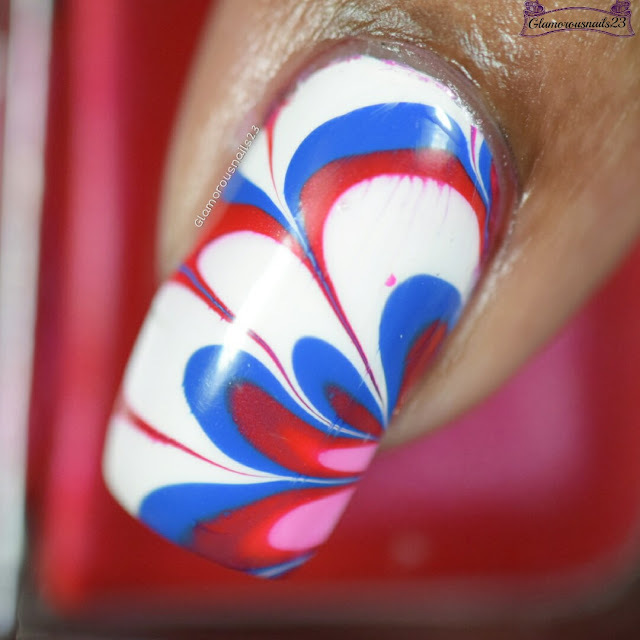 Definitely want to try something like this for the 4th of July! I definitely plan to art more this year, especially marbles! This turned out so pretty! Great tutorial too. I'm so glad you're still doing this!! How did you not stamp fireworks over it?! I know right! Lol. I'm totally going to do that. Thanks Courtney! Awe thanks Becky! Simple I do not own a stamping plate that has fireworks on it lol. You should! It would be great to see and yay for more nail art! Thanks Jenny! That is a great goal! 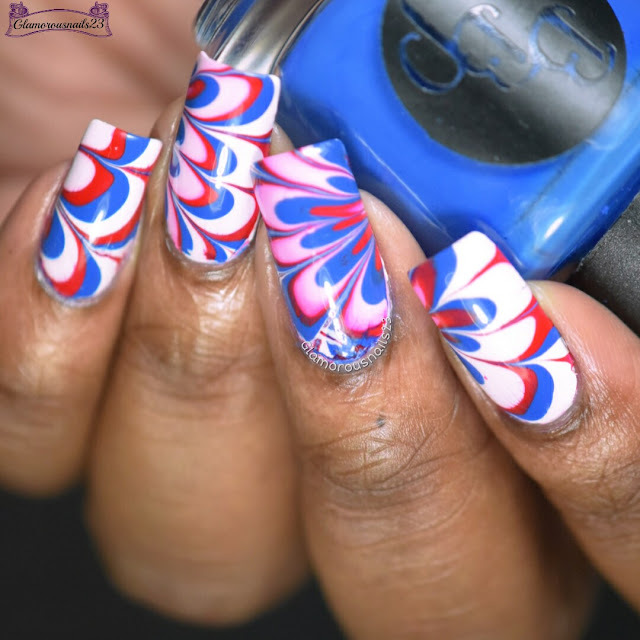 I love Watermarble Wednesday! This is such a cool look. I like how the white turned a little pink in some places. 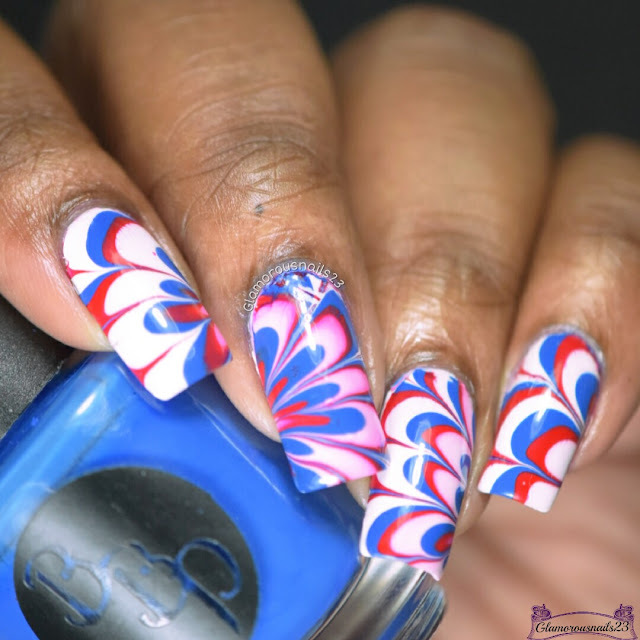 Red, white and blue looks so good together that it's a shame people only seem to use it for patriotic nail art. What a gorgeous water marble! 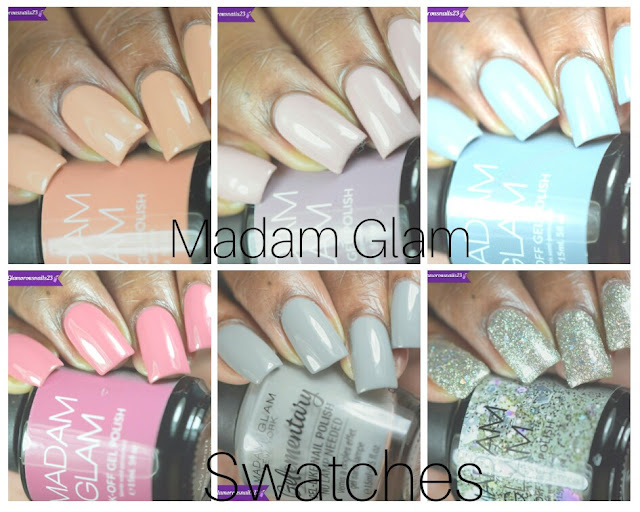 My goal this year is to as much, if not more, nail art as I do swatches. Thank you! You and I have similar goals this year. Awe thanks Stacie! I'm gad that you like it. Me too! This looks amazing! I really need to practise more on watermarbles!